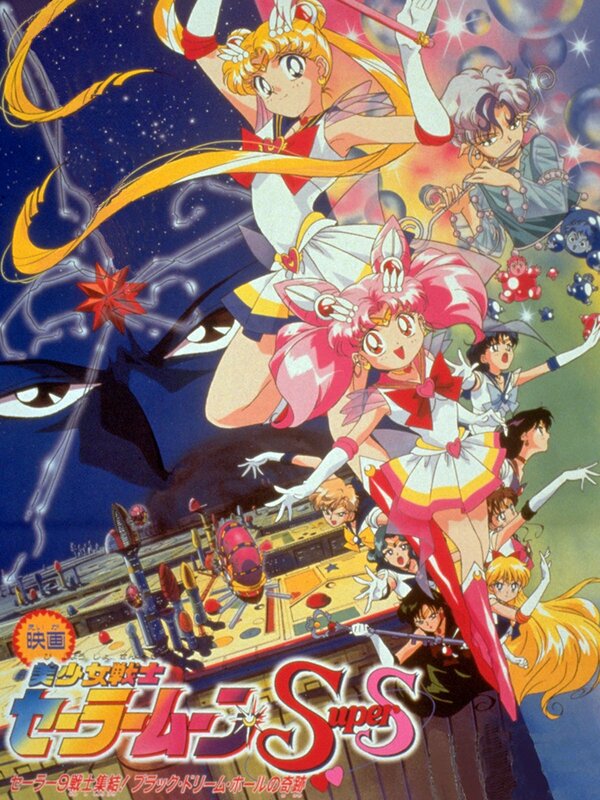 PennsylvAsia: Sailor Moon Super S: The Movie (美少女戦士セーラームーンSuper Sスーパーズ セーラー9戦士集結！ブラック・ドリーム・ホールの奇跡) in Pittsburgh, August 4 and 6. Sailor Moon Super S: The Movie (美少女戦士セーラームーンSuper Sスーパーズ セーラー9戦士集結！ブラック・ドリーム・ホールの奇跡) in Pittsburgh, August 4 and 6. The Super S movie makes use of many of the same themes as the Super S TV series: the fairy-tale background, the emphasis on dreams, a wicked queen out to conquer Earth, Rini's sort-of romance with an otherworldly dream guardian. Unlike the TV series, however, the focus is still more or less on Sailor Moon rather than on Rini. Besides all that, the theatrical-quality animation is a treat. It will play in Japanese on August 4 and dubbed in English on August 6 at the Cinemark theaters in Monroeville, Pittsburgh Mills, and Robinson. Tickets are available online.